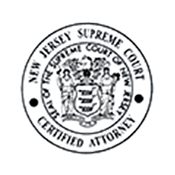 New Jersey Injury and Malpractice Law was written by Michael S. Berger and Kenneth G. Andres, Jr. to help anyone who has been involved in a serious accident or has been injured as the result of medical malpractice. 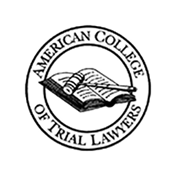 The accident or medical malpractice has probably caused serious injuries, along with severe pain and emotional trauma. You may have to deal with injuries for the rest of your life — or maybe you are not sure what the impact of your injuries will be and are anxious about your future and your family’s future. To make matters worse, chances are good that the injuries kept you from working for quite a while, which took a toll on your income. You are uncertain about whether you will ever do the same job again. Maybe you are struggling to make ends meet without that income, and that’s without worrying about the medical bills you may have from the injuries. Or even worse, maybe a loved one died as a result of an accident or malpractice and you and your family are grieving the wrongful death. Maybe the insurance company isn’t helping or you suspect it isn’t telling you everything. It’s all overwhelming, and you know you need help, but you have no idea what to do next. If this sounds familiar, this book for you. This is a guidebook for people who have been involved in serious accidents or who have been injured by medical errors or who have family members who were injured or even died, and have no idea what to do next. After the initial emergency room trip, hospital stay or doctor’s visit, most people have no idea what to do after a serious injury. And why should they? Fortunately, most people do not have a lot of experience with catastrophic injuries, and nobody teaches us how to deal with these issues in school. After an injury from an accident or medical negligence, you might need to learn a lot of new things about insurance claims, financial obligations, liens, medical conditions and injury law. Even for uninjured people, that’s a lot to learn all at once. For people who are already struggling with injuries, pain, financial strain and insurance company red tape, it can be overwhelming. Another important reason we wrote this book is because we want to help protect injured victims from the financial threat posed by insurance companies. You may be thinking, “Threat?” But haven’t I paid my insurance company to take care of me after an accident? Shouldn’t doctors be concerned with my best interest? While we agree that an insurance company should, that doesn’t necessarily mean it will. While doctors and other health professionals are supposed to exhibit a certain level of care, that doesn’t mean they always do. You may have had a positive experience with your insurance company before; in fact, we hope you did. But as you will read several times in this book, insurance companies are frequently not on your side — especially when you have to make a claim for medical benefits or compensation for injuries or wrongful death. Like all businesses, insurance companies are in business to make money. They make money when premiums are paid, but when an insurance claim is made, they lose money. That’s especially true with significant claims, which is why the most seriously injured people or surviving family members are at the greatest risk. That means insurance companies do not want to pay you any more money than they have to. When the chips are down, insurance companies are on their own side. We can fight insurance companies’ practices and tactics — but only if you speak to us before you sign any permanent settlement or waiver of liability. We have had to turn away more than one client who learned this lesson too late, and we don’t want that to happen to you. If you take nothing else away from this book, we hope you take away the lesson that insurance companies are your adversaries whenever you make a claim for medical treatment or compensation for your injuries. 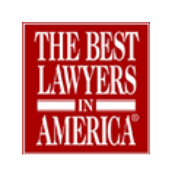 When your health and future welfare are at stake, please consider taking advantage of the free consultations offered by The Law Offices of Andres & Berger, P.C., to discuss your situation before giving a statement or signing anything. Finally, we wrote this book to help answer your questions. 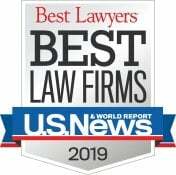 With more than 70 years combined experience as personal injury and medical malpractice attorneys, we have come to realize that clients keep coming to us with the same questions — questions about fault, their insurance claims, medical negligence and the risks and benefits of filing a lawsuit. This book is an attempt to answer some of the most common questions we get from clients and potential clients. However, we know no book can answer every question. Every case is different, and it’s only after we hear about your case that we can give you the answers that fit your personal situation. And no book can build the same relationship that can be created by a face-to-face meeting. That is why we encourage you to contact us for more information or if you have questions or concerns. Meeting with potential clients to learn more about their cases is never an inconvenience — it’s an important part of our job. You can visit The Law Offices of Andres & Berger, P.C. at 264 Kings Highway East, Haddonfield, New Jersey 08033, call us at (856) 437-4080, or to contact us online click here. If you are unable to travel we will come to you in the hospital or at home. All initial consultations are free and without obligation. 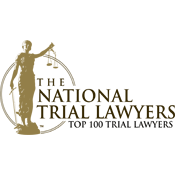 Remember to contact us as soon as possible after an incident causing serious injury or a wrongful death so we can begin working for you by gathering the necessary evidence to support your case, filing the required forms and notices, and avoiding any potential problems caused by legal technicalities. At The Law Offices of Andres & Berger, P.C., we are dedicated to helping injured people and families who have lost a loved one. That’s not an empty statement— it’s our reason for existing. 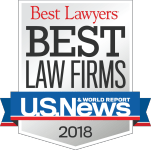 Kenneth G. Andres, Jr. and Michael S. Berger only handle cases on behalf of seriously injured people and wrongful death claims for family members seeking compensation from the individuals and institutions responsible for accidents or medical malpractice. We are highly selective and limit the number of cases we accept so that we are able to provide a high level of service to our clients. 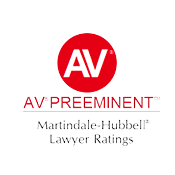 All cases are carefully screened by our firm and evaluated by independent, qualified experts to make certain that our cases have merit. We are proud to say that we have helped thousands of clients recover the money they need to pay their medical bills, support their families and be compensated for their injuries. Schedule your free consultation: Call us at (856) 437-4080, or contact us online at contact.